Good morning all! Last year I mentioned that a game was coming out for the Mega Drive called Pier Solar, an independently developed JRPG which began development cialis angioplasty in 2004 and was released in 2010. The game was sold in the same Mega Drive or Genesis packaging you remember. Whether there will be more reproductions made I guess only time will tell! If you’re like me and didn’t get a chance to play the game on Mega Drive, fret not! There’s a Kickstarter campaign going to get Pier Solar out on OSX, Linux, Windows, Xbox 360 and get this, SEGA Dreamcast (and with HD graphics). So it’s basically an enhancement of a modern retro game. Go figure! Either way, you folks might want to get on it as there’s just over a week to go on the campaign. Here’s an interesting perspective given to a space shooter. Genix came out last week on Xbox Live’s Indie Game Channel (in the US) and Windows, and as you can see in the video above it is quite an interesting presentation of top down space shooters. The perspective has changed to 3D and yet there’s still a flat view. On top of that is the fusion of modern to old-school graphics. 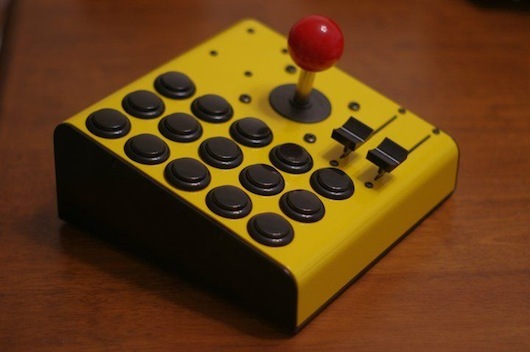 Alright you electronic music-making geeks (and I know there’s a lot of you out there) out there, here’s a set of instructions over at Instructables that a guy made of a MIDI USB controller with arcade buttons and joystick for his son’s birthday. He made it to use for DJ’ing or live tunes, or whatever else you can think of for audio production and believe me, the sky is the limit! 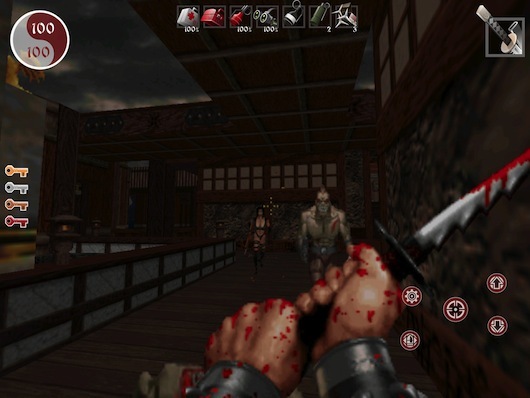 Lastly for today’s post, a while back I mentioned that Shadow Warrior is now available on Good Old Games for OSX and Windows. Might be because of the fact that 3D Realms (in conjunction with General Arcade) are working on a port of Shadow Warrior for iOS. One of the biggest things that have flawed many 1st person shooters on touch devices is controls, but from my experience, Duke Nukem 3D (review) had the worst and Doom iOS (review) had the best touch screen controls. General Arcade plan to make sure that Shadow Warrior for iOS has a large choice of options for configuring controls. Time will tell no doubt, more like before the end of 2012 when the game will be due.